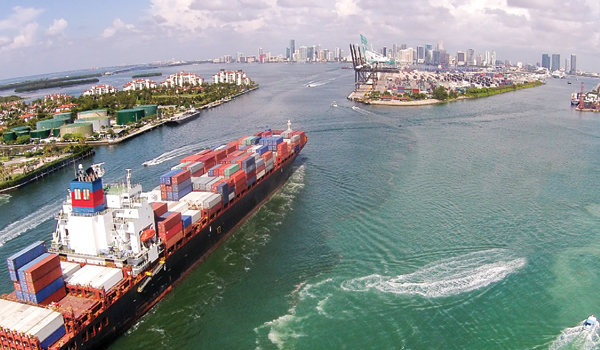 The Sunshine State basks in its role as a logistics superstar, with hot transportation connections via water, air, road and rail. You'll also warm up to its great quality of life, abundant qualified labor pool, and oceans of experience in keeping your products safe for the long haul. They call it the Sunshine State, and for good reason. Yes, the sunny weather alone is enough to swell the population with human snowbirds as weather-weary warriors from the north flock to Florida every winter, along with the robins and blue jays. But many factors other than perfect temperatures make the state's business climate warm and the future bright. "Florida remains one of the most desirable and affordable places to live," says Paul Marttila, senior vice president of business development for Enterprise Florida, the state's principal economic development organization. "In many ways, Florida's cost of living is below that of other states with similar economic growth and in-migration rates. Our state and local governments are committed to keeping Florida's low tax environment, plentiful modern amenities, and quality public services." Which explains why logistics professionals and other business leaders fly to the state and stay there year round. They find it's not a bad bargain for weather year round: The average annual high temperature is 81 degrees and the average annual low is a comfortable 60 degrees. You might say that Florida sits at the intersection of Asset Street and Opportunity Avenue. And the light is green. That would certainly be the view of Jason Reed, CEO of ReedTMS Logistics, a company looking both ways and making the most of the Sunshine State’s business and logistics advantages. Reed knows something about making the best of both worlds. ReedTMS is a transportation provider comprised of Reed Transport Services Inc. and TMS Logistics Inc. In 2010, Reed Transport and TMS Logistics formed a strategic partnership to provide expanded service offerings that address the logistics needs of shippers in North America. Reed Transport offers high-quality brokerage and freight management services, while TMS Logistics is an asset-based provider of dry van, dedicated fleet services. With a database of more than 17,000 carriers, Reed Transport arranges in excess of 60,000 truckloads per year for more than 500 customers. Florida is the right place and now is the right time to plant the seeds for growth near and far, Reed says. The company recently opened a branch office in Pennsylvania and now operates seven locations across the United States: three in Florida and one each in Pennsylvania, Ohio, Kentucky, and California. Florida’s advantageous location makes the state not only a great place to do business but also a great place to live, which goes a long way in explaining why so many executives and well-trained logistics professionals have made the state their home.